Are you always rushing from one task to another? Is your busy lifestyle affecting your health and well-being? Julie Gray used to be in the same boat. She was always ‘busy’ – never having time for herself. But Julie realized that wasn’t the life she wanted. She made a decision to pay more attention to herself – to live life more fully rather than remain a workaholic. Now the Founder at Profound Impact, Julie coaches others to live balanced and fulfilled lives. 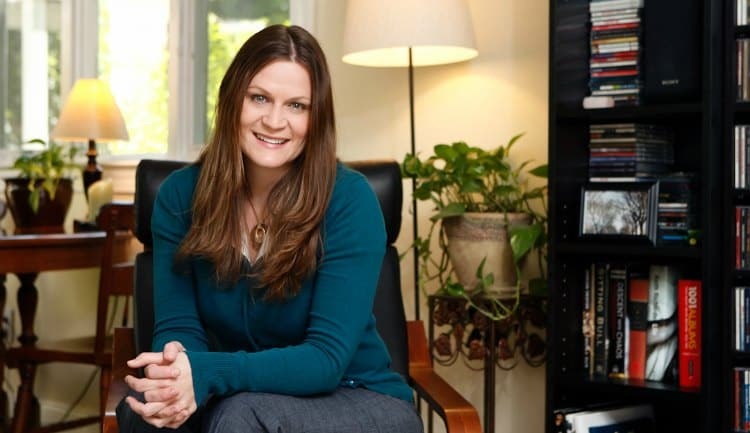 Julie’s work has been published in The Washington Post, SELF magazine, Vogue, Time Management Ninja and several other publications and blogs. In a conversation, Julie and I talked about how she adopted a more balanced lifestyle, how she became better at Time Management and how you can do the same. Julie, you have called yourself a workaholic before you managed to strike a work-life balance. How did you begin to realize you needed a more balanced life? When I was a meeting planner I worked 60+ hours a week leading up to and during our meetings. I lived off of sugar and caffeine and while I still tried to get decent sleep – I always felt tired. My world shrank to the point where I had an outfit that I wore for each day of the week – so I wouldn’t have to think about what to wear. I didn’t see friends as much. I didn’t have the energy. I was cranky and the only thing I ever talked about was work. How much there was to do. How behind I was. I sounded like a broken record. These were just some of the ways I knew my work-life balance was not where I wanted it to be. In my experience, the more indispensable you think you are, the easier it is to justify working all the time. So I did. I worked without boundaries around my life or time and so they took – and I gave – as much as they wanted. We all face some sort of self-resistance when trying to build healthier, better habits. How did you push your way through resistance? Well, I tried pushing my way through resistance and found that the more you push the more resistance pushes back. So instead I made friends with my resistance. I realized it was there for a good reason – it wants me to be safe. This doesn’t mean resistance knows what is best. It just means it is part of the process. Befriending resistance – no longer being mad at myself for procrastinating or rationalizing behavior I knew I didn’t want – was the trick that helped me overcome it. Catching those resistant thoughts and holding them with some kindness opens up many new possibilities. Are there any danger signs that an entrepreneur or nine-to-fiver can look out for that signals an oncoming burnout? 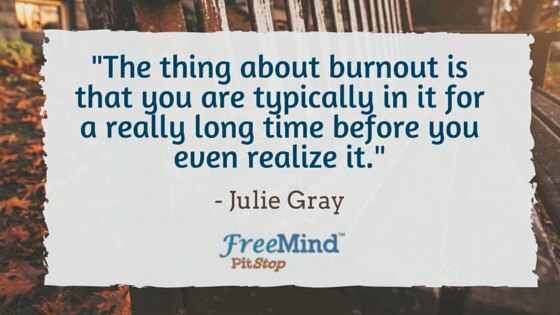 The thing about burnout is that you are typically in it for a really long time before you even realize it. We tend to not realize when we are no longer operating at peak performance. Others notice it generally before we do. Many of the warning signs I noted in my own experience above are common. The other thing I would look out for is sleep deprivation. If you haven’t been getting quality sleep for a long time you are most definitely in some level of burnout. What are some simple things (tips or tricks) that one can do on a regular basis to carve out more time? An easy way to find time is to create anchors. Take an activity which is already part of your schedule and add what you want to do right before or after that activity. For example, if you want to meditate – add it to your existing morning routine. If you want to carve out a big chunk of time to write a book or start painting more – put it on your calendar, tell others when you are protecting this time, tap into your deeper motivation for pursuing this activity – and then notice if you follow through on your commitment. If you don’t – block a smaller amount of time. Make it doable and grow from there. A common hurdle that many people face is that they feel overwhelmed by all the changes they want to make or are trying to make to get a better life. What would you say to them? Slow down. Drill down to one or two changes you want to make and focus here first. Ideally just one change at a time but I know how life goes. Then I’d ask my favorite question: What is the most laughably doable step you can take toward this goal? If you want to meditate – can you pause for 1 minute a day? 1 minute once a week? Break down habit until it is so easy and non-stressful that you laugh. This is an indication you are on the right track. Once you are consistently following through on this first step, grow from there. In my experience, you are going to make longer-lasting changes when you take the slow and steady approach. Take some cliché advice: Rome wasn’t built in a day and it’s always best to eat the elephant one bite at a time. Productivity is not about being busy, it’s about getting more done in less time and living a more balanced life! What will you do today to become more balanced? Tell us in the comments section below.